We developed a complete smart system to monitor soil, water quality, water storage and environmental parameters. We installed several Libelium Waspmote Plug & Sense units in different locations at the Cameron’s Nursery, a wholesale nursery, in Arcadia, NSW. 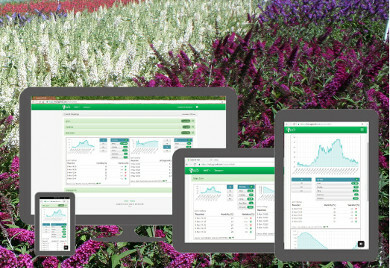 This project is a true test of applying suitable technology to assist farmers and growers manage their operations and production workflows. Cameron’s Nursery was looking to reduce human error by taking scheduled water quality readings (pH, EC, ORP, DO) of several water bodies (drainage pit, dam and water tank). Monitoring these parameters around the production nursery will assist with the reporting requirements for Nursery Industry bodies. Cameron’s Nursery was also keen to improve and protect their crop by measuring additional environmental parameters, both indoors and outdoors, and providing visibility of key environmental parameters. Choosing a technology that would be an affordable investment, with low operational cost, energy use and maintenance, specially calibration, and non-intrusive to the production nursery and its landscape, was paramount.